A hunter never leaves without their go-to weapon or favorite pair of hunting shoes or boots. But what if the clouds break while you are out hunting and the sun prevents you from taking the perfect shot? One thing that is often overlooked is eyewear, specifically hunting sunglasses. 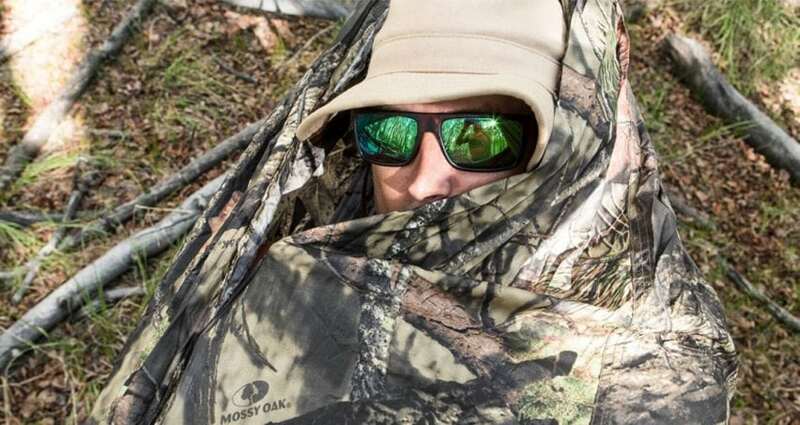 Not only do they offer protection from the sun’s harmful rays, but they allow a hunter to better see the environment around them, which is crucial in order to make an accurate and safe shot. Even if the forecast doesn’t suggest sunny skies, it’s always good to be well prepared for what the outdoors has to throw at you! What Lens Color is Best for Hunting? Yellow and orange are the most common lens colors for hunting sunglasses because they are the perfect colors to block haze and blue light since they are on the opposite end of the color spectrum. This helps to enhance the contrast between a target and the environment around it. Light purple, blues, and even a rose color are also good lens colors. These are best used for enhancing the orange or warmer colors of a target since it’s on the other side of the color spectrum. This may be beneficial depending on what kind of target you ’re hunting. Gray lenses do not use opposing colors to enhance a target, but they do help in reducing the glare that may be created from the sun on a bright day. They help enable the wearer to see their target clearly for a more accurate shot. Is it Worth Getting Polarized Sunglasses? It could be very beneficial to invest in a pair of polarized sunglasses. Polarized versions are designed to reduce the glare that you may experience from surfaces such as glass, water, and snow. Experiencing glare during a hunt can lead to you entirely missing your target, and it also poses as a safety issue since you’re handling a weapon without proper sight. Keep yourself and others safe by making sure you use the proper eyewear. If you want to be able to properly distinguish a target, you may want to think about getting a pair of polarized sunglasses for your next outing. Several factors go into choosing the perfect pair of sunglasses when going on a hunt. Keep these in mind when looking for a pair. It would be a good idea to familiarize yourself with the area you hunt in to get an idea of what lens color would be best for that hunting season. Yellow and orange shades are best to contrast the target from its surroundings. If you hunt during a time where there’s a lot of snow or water on the ground and there are clear skies, you may want to invest in polarized sunglasses. This type of sunglasses helps prevent the glare from the sun that reflects off surfaces, enhancing your view so you can make an accurate shot towards your target. It’s also a good option for safety purposes, so you and those around you stay safe from any stray arrows or bullets. Additional accessories can include foam padding, straps, a sweat bar, etc. Foam padding adds comfort and makes for a better fit of the sunglasses so you won’t have to worry about them falling off. Foam padding added onto the frame of the glasses can also aid in protecting your eyes from dust or any debris that may be in the air. Straps can be useful in securing your glasses in place and making sure they don’t hit the ground and break if they happen to fall off. It also keeps them close so they are ready to use. A sweat bar adds stability to the frame of the glasses and also helps create a more secure fit. Additionally, it reduces the likelihood of sweat dripping down into your eyes, so your vision stays clear. With so many different types of hunting sunglasses on the market, it may be difficult to find the best pair for you and your outdoor lifestyle. However, you’re in luck, as we’ve compiled a list of the best hunting sunglasses and have reviewed them with their pros and cons. These stylish sunglasses come in black and silver, and you can choose a lens color of yellow or blue. They feature an optimal form factor that allows for maximum comfort and performance and are designed to be worn hours on end. These glasses are semi-polarized, light, and highly functional, featuring integrated nose pads and a rubber support system to ensure comfort and stability when being worn. 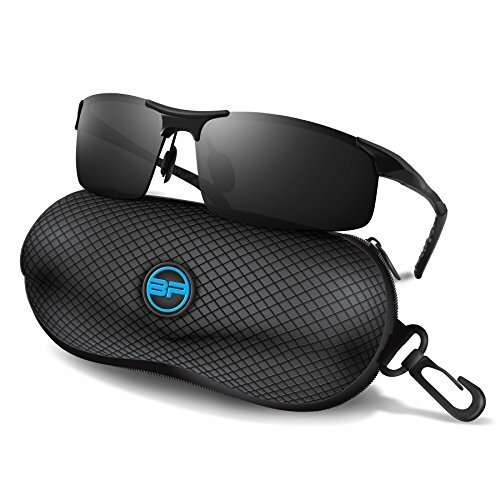 The purchase of this pair of sunglasses also comes with a protective carrying case, a small screw to make minor tightening adjustments, a pouch, a microfiber cleaning cloth, and a clip to attach to the case for convenient access. The durable metal frame ensures that these are built to last any drops that may occur. The mirrored lens helps enhance your field of view by eliminating glare and diffusing harmful light. Overall, this is a great pair of glasses to invest in for your next hunting trip or shooting practice. They are not completely polarized, so some glare may be expected if you wear these glasses. They are made from a durable metal frame, so they may feel a bit heavy on the face the first few wears until you get used to it. They come with a little kit that includes a protective case, a small screw, and more! The nose pads are adjustable to create a more personalized fit, and the rubber support system ensures that the fit is comfortable and secure. These sunglasses feature a durable frame with an adjustable nosepiece and ratcheting temple arms to ensure a customizable, comfortable, and secure fit. Included are five different anti-fog lenses, so you won’t worry about having to buy multiple pairs of sunglasses with different lens colors. The kit that comes with this pair of glasses includes the various lenses, a neoprene protecting case, and a microfiber cleaning bag. The lenses are easy to interchange, though a little practice is needed to pop them in and out efficiently. The frames for this pair of hunting sunglasses are relatively thin, making them susceptible to breakage, but the big positive is how customizable they are. You can adjust the nosepiece and the frame so they can fit your face and head properly. Overall, this is a good pair of hunting glasses. They are very customizable, with the ability to adjust the nosepiece and frames for a comfortable and secure fit. The lenses are interchangeable, and five different colored lenses are included in the kit. The lenses aren’t too difficult to change out, though it does take some practice. Since the frame is relatively thin, it can be a bit fragile, so be cautious when changing out the lenses. The nosepiece also is more susceptible to breakage since the lenses can be changed out so often. This pair of hunting glasses are polarized and offers 100 percent UV protection to ensure your eyes remain protected and your vision is clear when you’re exploring the outdoors. The patented technology of these glasses helps in blocking blue and yellow light, which allows for better color and clarity while you fish or hunt. These sunglasses are hand built and the frame secures glass lenses with nylon and polycarbonate. 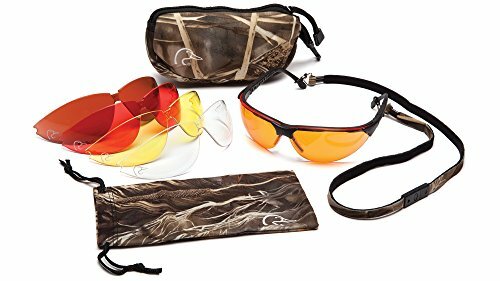 The lenses are gray in color, which helps in blocking the blue and yellow light that may be experienced on a fishing trip, which is what makes these the best waterfowl hunting sunglasses. The frame is designed with a mossy oak camo, keeping them simple and fitting for a hunting trip. Overall, this is a pretty good pair of sunglasses. The gray lenses help block out yellow and blue light, which makes them effective to use around surfaces of water, whether it be for fishing or hunting waterfowl. This pair of sunglasses offer 100 percent UV protection, keeping your eyes safe from the harmful rays. The handmade plastic frame is durable and keeps the lenses secure. The design on the frame isn’t too flashy, but if you prefer a pair that aren’t camo, this wouldn’t be the best pair for you. These function as proper sunglasses should and are sure to last through multiple seasons. These sunglasses offer 1.1 millimeters of polarized polycarbonate shatterproof and scratch-resistant lenses, with UV protection. This helps in reducing glare and eye strain, and enhances clarity so you’re more likely to make an accurate shot. This is a strong, durable, and lightweight pair of sunglasses with non-slip rubber lining ear grips, ensuring a proper and comfortable fit. This pair comes with a protective microfiber pouch that allows you to carry around your sunglasses conveniently, without inflicting damage. You can choose from a lens color of blue or orange, giving you a good choice depending on the season and environment you hunt in. 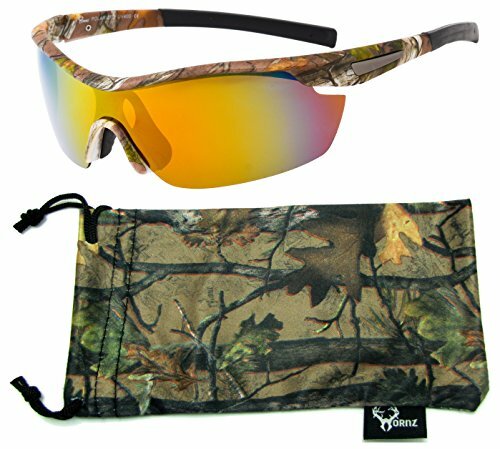 This is a good pair of hunting sunglasses, perfect for deer hunting season. They come with either orange or blue lenses, both of which are polarized to help enhance visual clarity. The non-slip rubber ear grips ensure that your sunglasses will remain in place and secure with a comfortable fit. A microfiber pouch is also included to act as a carrying case. These polarized sunglasses help reduce the glare or reflection of light, bringing more ease and clarity to your eyes so you won’t have to squint or strain them. One thing that seems to occur occasionally is that the lenses sometimes pop out during cleaning. Be sure to be gentle when popping them back in. 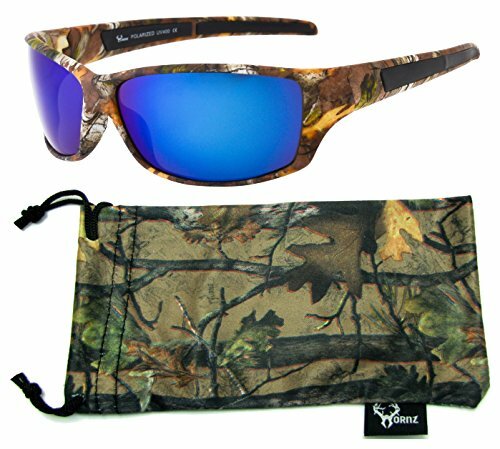 This pair of hunting sunglasses feature polarized lenses that help eliminate glare that you may experience on a particularly sunny day. This also allows you to see beneath the water’s surface in order to spot fish or other things that may linger below the surface. The acu-tint lens coloring system helps add color contrast without distorting any natural colors of the environment, allowing this pair of sunglasses to provide sharper clarity and enhanced detail. They also help protect your eyes from any harmful UVA and UVB rays. Polycarbonate frames are durable as well as lightweight, and non-slip temples ensure that these sunglasses stay in place. Wider set temples also help to block wind and any side glare that may be experienced. This is the best pair of sunglasses you can get for the money, and they offer exactly what a hunter would need from a pair of polarized sunglasses. They help add color contrast and enhance detail, without distorting any natural colors. The glare prevention is perfect for looking beneath the surface of the water, or for getting the perfect shot. UVA and UVB protection ensures the safety of your eyes and rubber lining along the ears ensures a comfortable and secure fit. This rubber lining does tend to come off easily, especially when exposed to excess sweat. Unlike other pairs, these sunglasses do not come with a case, which can be expected due to the much lower price. However, a case shouldn’t be too difficult to acquire, and with the money you’re saving by buying these glasses, you can get a case as well. These sunglasses are strong, durable, and lightweight, with polarized lenses that can come in amber, blue, orange, or smoke gray. The 1.1 millimeters of polarized polycarbonate offer eye protection and help in enhancing details and eliminating glare that may be experienced when in the outdoors. Shatterproof and scratch-resistant, these lenses offer quality vision, with color contrast and sharp clarity. A microfiber pouch is also included so you can store your sunglasses and keep them from getting damaged. UV protection is also offered, so you won’t have to worry about damaging your eyes if they are exposed to bright light for an extended period of time. A non-slip rubber grip ensures a comfortable and secure fit. 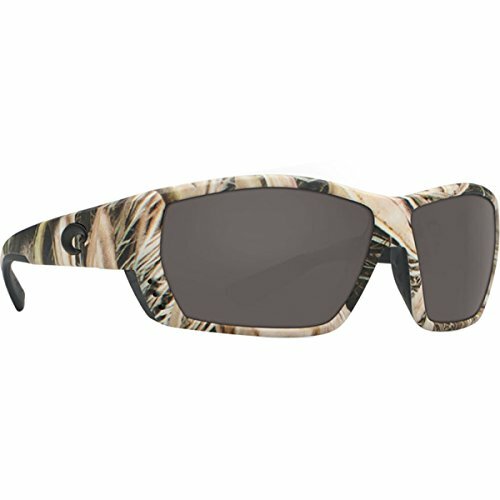 Overall, this is a great pair of polarized hunting sunglasses to invest in. They ensure crystal clear vision, while also reducing glare so you don’t have to strain your eyes. UV protection allows your eyes to remain safe from extended sun exposure, and the non-slip rubber gripping on the frame allows these glasses to stay in place until you remove them. The frame is light and comfortable, but since it is so delicate, it does have a tendency to break, so make sure you’re not tossing them around. Simply, put the microfiber carrying pouch to good use! With a variety of lens colors to choose from, you’re sure to find a pair that fits for you and your outdoor lifestyle. There are many different types of hunting sunglasses out on the market, and it’s important to invest in a pair to protect your eyes from extended sun exposure and to allow more clarity during a hunt. Polarized lenses work by eliminating glare, and colored lenses can help enhance the contrast between a target and the background. Even if the weather isn’t forecasted to be sunny, be sure bring a pair of hunting sunglasses with you in case the sun decides to peek through! With them, you’ll be able to concentrate on a target better, and take a more accurate shot.